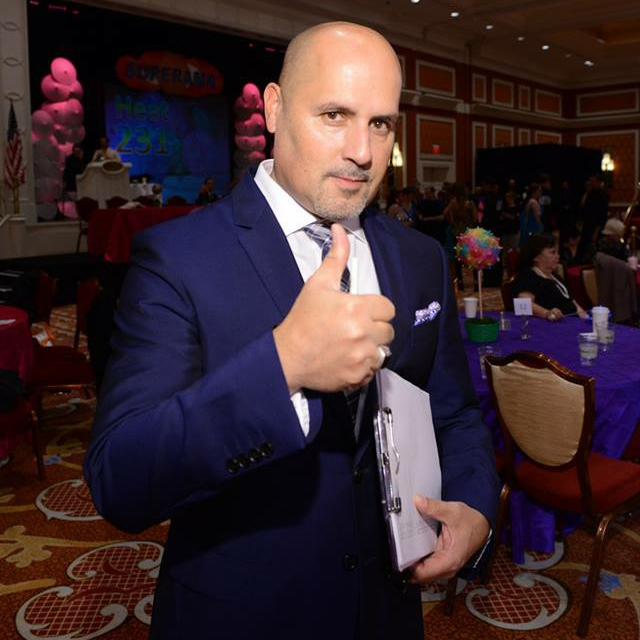 Roberto “Bobby” Gonzalez has been in love with Arthur Murray since he first walked into a studio in 1981. Starting in a small studio in southern California, Bobby worked his way up and has changed the industry with his knowledge and dance skills. Bobby is currently a member of the Arthur Murray National Dance Board and maintains the dance standard on the west coast as Dance Director. As much as he may deny it, Puget Sound is his second home and his favorite area to visit! Read on to learn more about Bobby! When did you realize you wanted to teach dancing as a career? On my first day of training class. When I walked into the studio, I loved it, right from the beginning. I was in a studio that was so small – there were three teachers and two of them owned the studio – but I just loved it since day 1. 2 things: the music I’m hearing at the time and the person I’m dancing with. 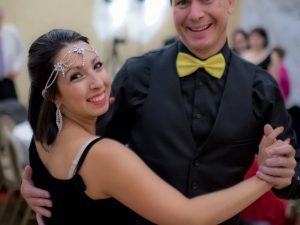 So, when I’m dancing, I like to try and express the music while having a connection with my current dance partner. Even if it’s just the box step at a Friday night party or dancing at a night club, I always try to connect with the person and the music is the medium. What would your super hero name be and what super power would you have? Clave Man [Rhythm Man], because it’s been a life long journey to understand rhythm. My super power? To be cool. That’s it, haha. What’s your favorite thing to teach students? Everything. E-V-E-R-Y-T-H-I-N-G! I don’t care if I’m teaching the box, a triple step, a twinkle, or contra check, if it’s a professional or a brand new student. Even if it’s just 5% of it or there’s an “ah-ha” moment, I just LOOOOVE to see when someone gets something. What would you like to see more of on the pro/am comp floor? What I’m starting to see more of but want even more is people having more fun while dancing. Sometimes in competition you can get it into your head that this is a comp and requires a different attitude. But if you have fun, that shows up as more freedom in your dancing, and that allows you to take more risks without being worried about the end result as much. So yeah, I think I’d like to see more people relax and have more fun while dancing. What do you feel is your teaching strength? Making things simple. I love it when I have come across a problem that I’ve never come across before, or if a student is having a really hard time, whether it be talent-wise or physical-wise. I love it because I get to figure out a way to make them understand what I want them to learn – that’s exciting to me. I teach probably 50 lessons a week and if I taught 50 easy lessons a week, I’d want another job. I love all the different things. What’s the biggest challenge that you encounter as a coach? I always look at every student as a potential gold student, so the biggest challenge is getting that person to see the same vision. I don’t care what anybody’s age or ability is when they start – I think everybody could be gold someday. Going to a studio, especially studios that I frequent, and see students progress and improve on things we worked on in previous lessons. Another favorite thing about my job? Competition and watching students dance. If we’ve worked on something and I see a little tiny bit of it shows up in their routine, that’s very rewarding. And to me, Arthur Murray is a family. I’m on the road all year and with 100k miles of travel this year, I get to see my friends and family everywhere I go. What the most important thing to learn to be a good dancer? Trying to find a connection to the music. I feel like too many people, especially men, dismiss it, like they think, “I just don’t hear the beat”. But they don’t know how to listen to it or what to listen for. If I can get them to feel the music and dance rhythm more than steps. That’s my answer for that question. Mexican Food! Specifically Mexican breakfast. Meet Your Coach: Bill Jacobson!